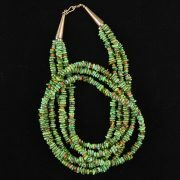 Rosita Singer, wife of the late silversmith Tommy Singer, began creating jewelry in his signature style after his death. 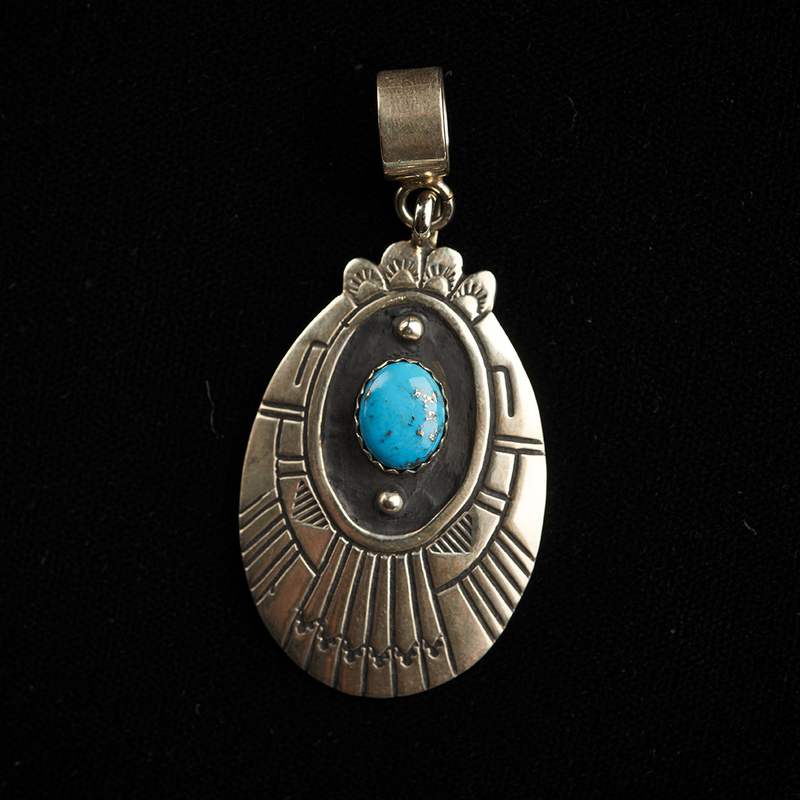 She is well known in her own right, This small, oval panel of sterling silver is overlaid with fine lines and features a smaller, oxidized oval toward the top, which is set with a single oval stone of blue turquoise. The stone, set in a sawtooth sterling silver bezel, contains portions of brown matrix running throughout and is bordered on top and bottom by tiny appliqued sterling dots. 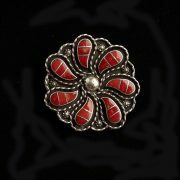 Rosita Singer, wife of the late silversmith Tommy Singer, began creating jewelry in his signature style after his death. It is a beautiful pendant.